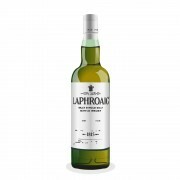 Those who know me know that I have the softest spot in the world for Laphroaig. It was the first distillery that I had ever visited. I have had some of my best drinking experiences with whiskies from this iconic giant. Sure, like any other love affair, there have been low points in our relationship but those have largely been off set by some stunning spirits. And since there's very few recent Laphroaigs that I've not tasted I'm always jumping at the opportunity to sink my teeth into any latest offering from them and offer my unsolicited two cents. As was the case with this eleven year old travel retail launched exclusively for Amsterdam Airport. I was at my friends' house just ploughing through one independent after another when he put this on the table much to my glee. I had been meaning to get my hands on this but trips to Amsterdam are very few and extremely far between so it turned out to be a rather pleasant surprise. Now I didn't know much about this particular offering other than it was exclusive to Amsterdam but I swear as soon as I nosed it I blurted out the words 'Triple Wood' ! Upon further examination it was revealed that the maturation process of this and the Triple Wood is exactly the same. First-fill bourbon, followed by Quarter Casks and finally in European Oloroso Sherry, thereby, rendering both spirits almost identical. This forces me to speculate that maybe my favourite distillery is simply coming up with creative ways of flogging the same spirit to different markets simply by using different labels. I can't say I've not heard that before and, to be honest, it's being done so much nowadays that it's almost the norm. But it's a little frustrating when you pay 150 Euros for an eleven year old whisky who's taste profile is exactly the same as another NAS from the same portfolio and available at less than 40% of the retail price. I expect something more and something unique if you're going to name it and package it differently. Bit of a rip off if you ask me. What am I supposed to say? It's the Three Wood disguised as an eleven year old and sold at more than twice the price. Is that fair? Nope. @MaltActivist thank you for the insightful review, it's concerning if this is exactly the same as the Triple Wood albeit labelling. I like your photo, the framing and lighting, which type of camera are you using? I'm also curious on the light source, that's a mighty copper-ish Laphroaig you've got there. Is some yellow light filtering the colours? I think most members drink the majority of their drams at night. That is, under artificial lighting. I wonder how many check the colour of a whisky under natural light in day time? @Frost I just use my phone (Samsung S7 Edge) and a couple of filters to add some drama to the image. The color of the dram is definitely misleading and not as deep/dark as in the image, mind you. I'm guessing natural light is probably the best way to judge a whisky's color. I tried the NAS Triple Wood at the distillery 2 years ago and was unimpressed. I assume that the NAS TW is nowhere near 11 years old or I'm sure they would say so on the label. 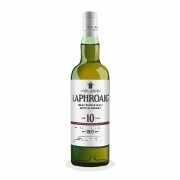 I think the Quarter Cask is still the best bang for the buck Laphroaig. Very useful review @MaltActivist. Cheers. Yes thank you for a telling review. I would guess that it is not the very same as the NAS triple wood. That would be very strange considering they know to charge for age. However it might be from the same stock perhaps?